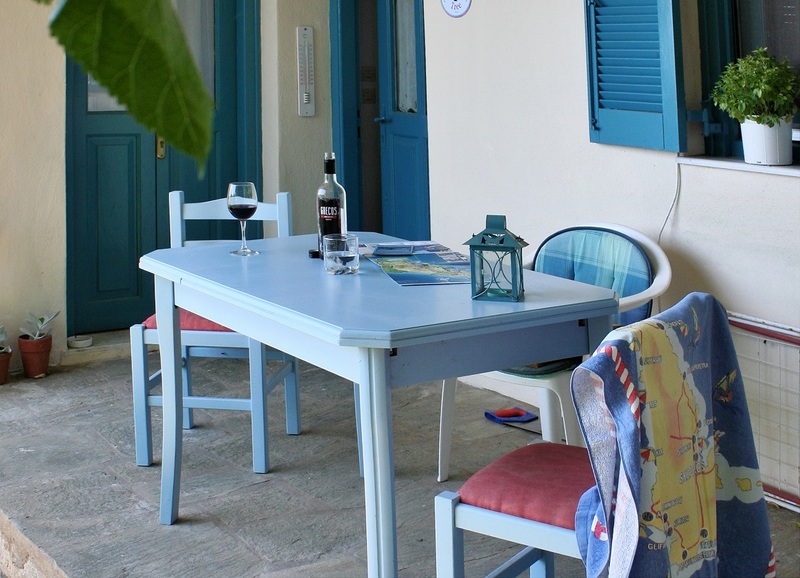 Elenora's shady terrace with large table and chairs. 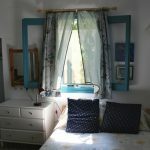 Bedroom with east facing window. 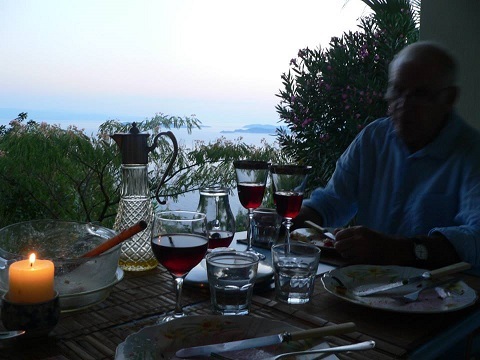 View from Elenora's dining table. 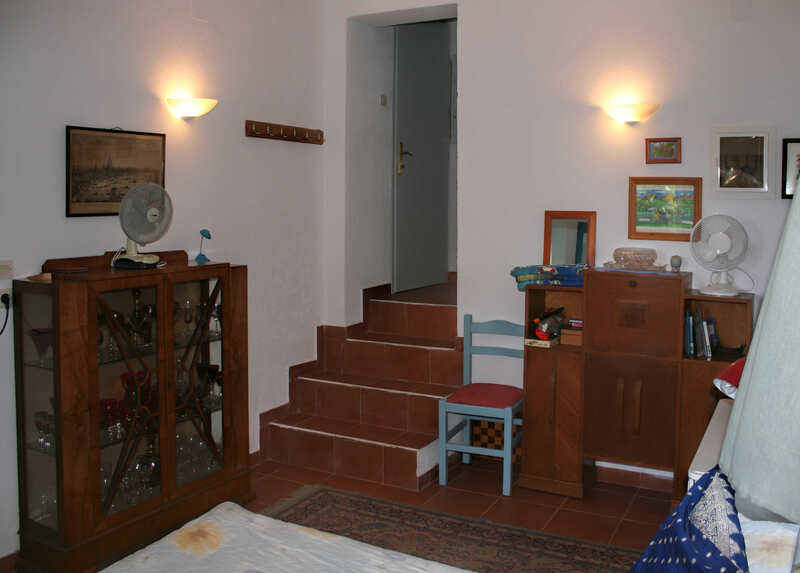 Stairs to utility room from bedroom. 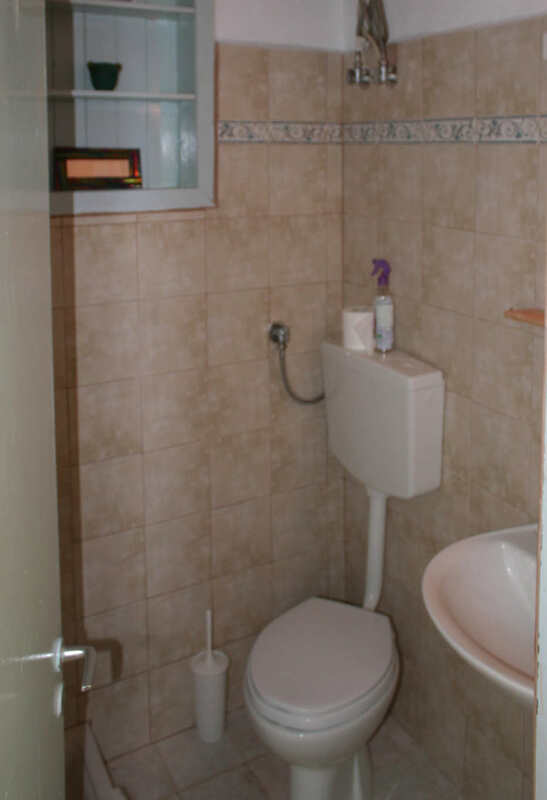 The small 'wet room', with shower. 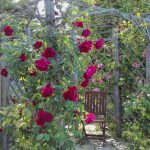 Elenora's through a rose arch. 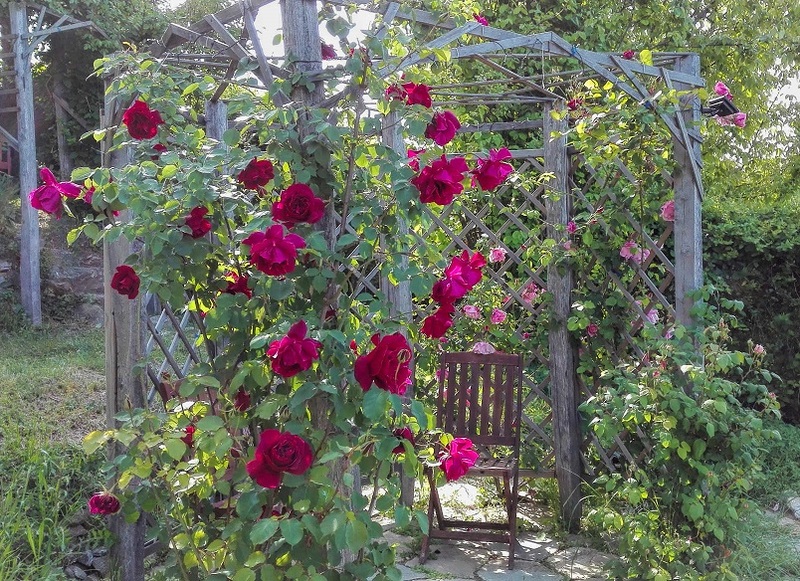 Rose arbour in the garden below Elenora's. 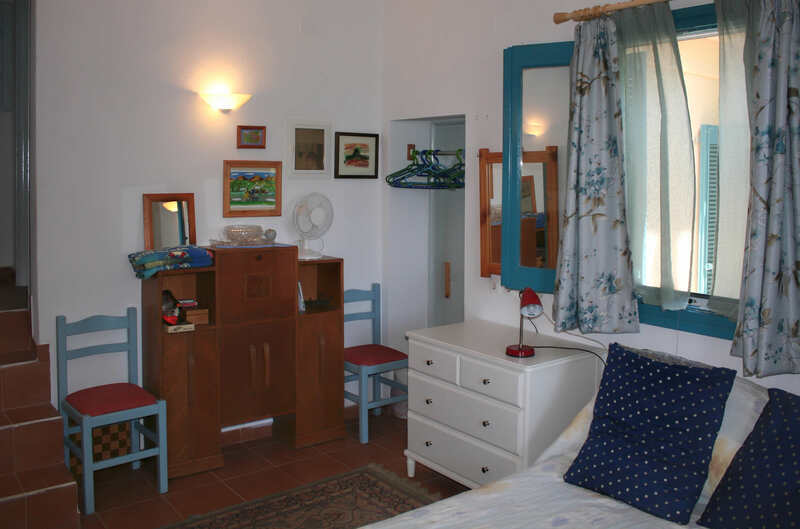 Elenora’s is named after the Elenora’s falcons that often swoop around the property. 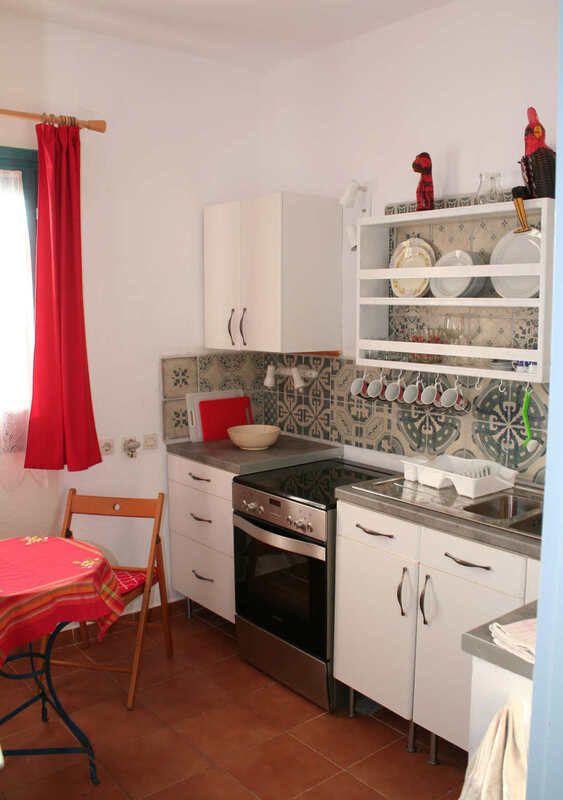 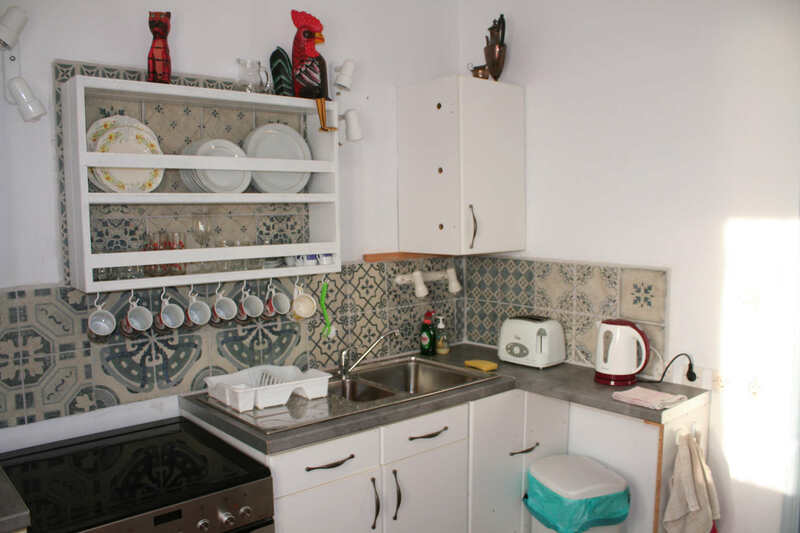 The ground-floor apartment consists of a bedroom with double bed, large kitchen and small bathroom with shower. 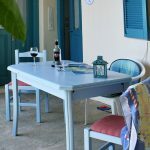 A shady verandah surrounded by trees and plants, offers garden and Aegean views and comes with a large table and chairs for dining. 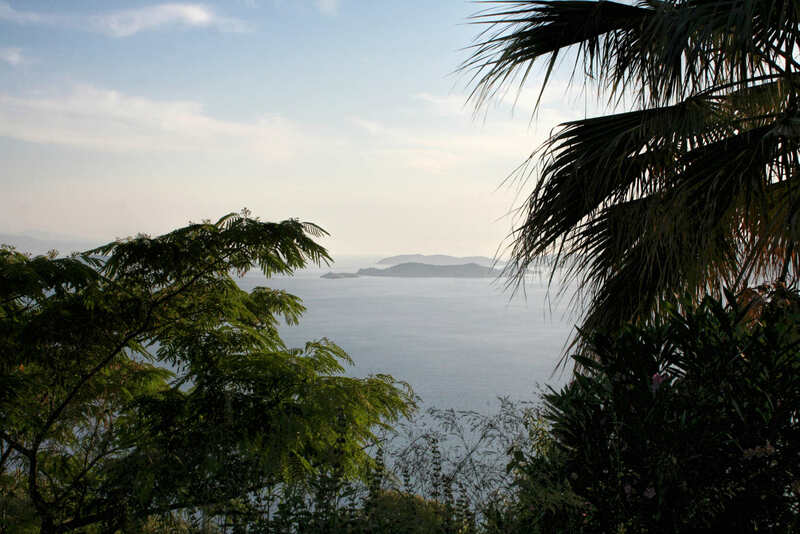 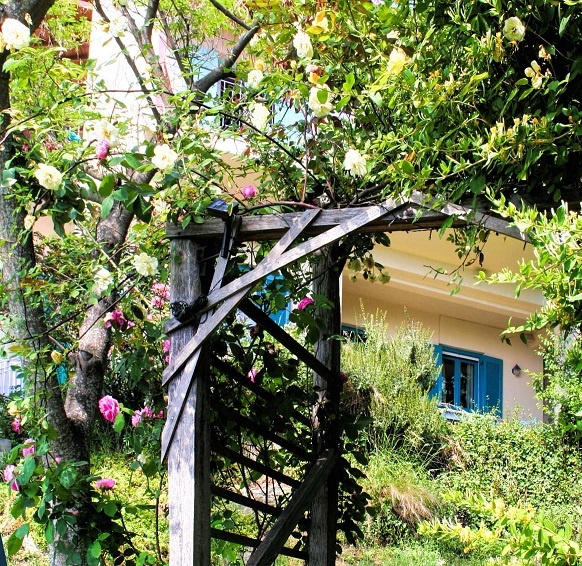 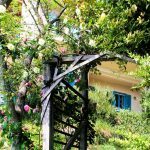 Our garden with its rose arbour is open to our guests – with big views of the sea it’s a lovely spot to watch the sunset over Skiathos. 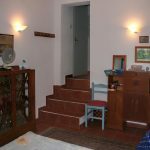 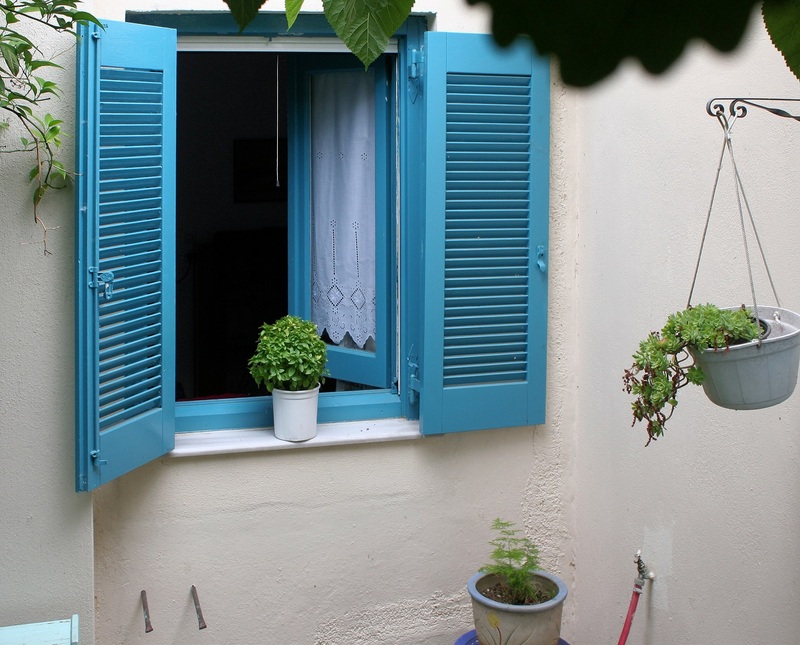 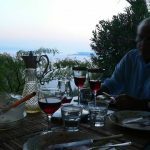 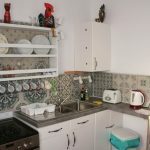 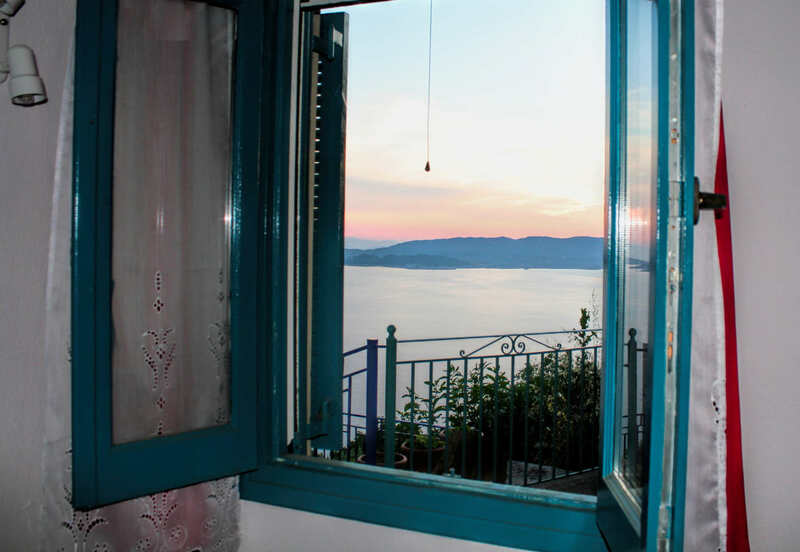 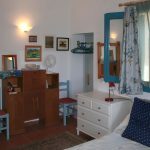 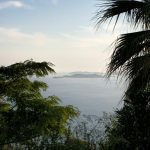 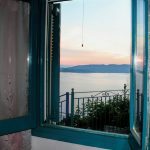 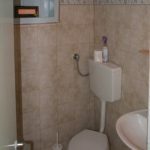 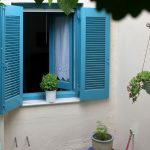 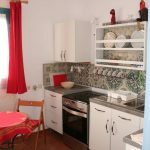 Located at the end of Glossa village, the apartment provides a quiet spot that’s still within 10 minutes’ walk from shops, tavernas and the bus stop for access all over Skopelos island. 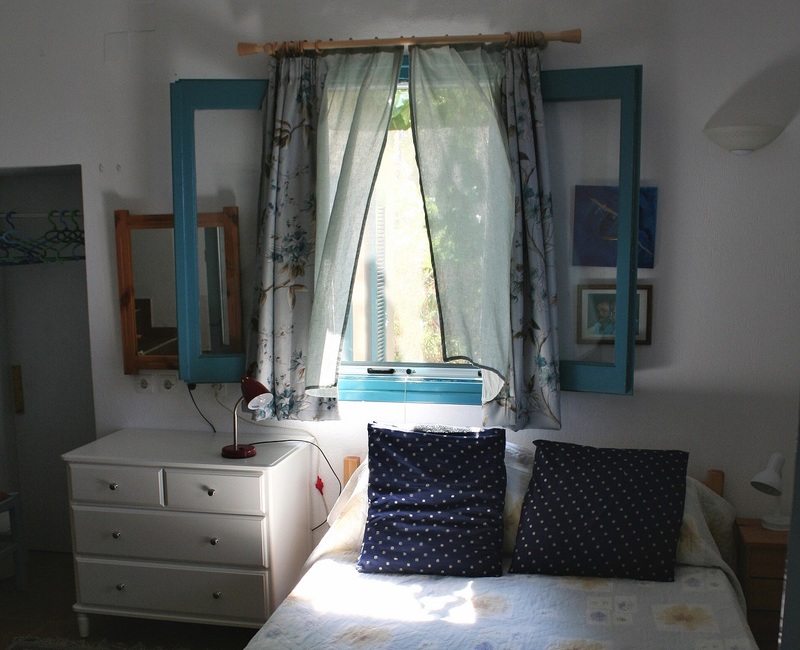 Ideal for a couple, or couple with a small child – a camp bed can be added to the bedroom if wanted.